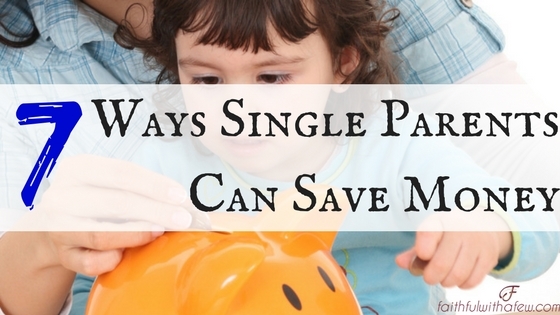 Raising children is expensive and when you’re a single parent, it can seem downright impossible. Figuring out how to pay your bills while still ensuring that your child’s (or children’s) needs are met can be difficult. It is possible with a bit of planning. You can pay your bills, take care of your kids and still have some money left over at the end of the month. Here are 7 ways in which you can save money. If you have no idea how much of your money is going where every month, your spending can quickly get out of hand. Sit down and create a monthly budget. Figure out how much you pay for fixed expenditures (such as rent and car insurance) and how much you want to stick within on other necessities, such as food and other flexible expenditures. Once you figure these numbers out, it will be much easier to stick them, which can seriously cut down on impulse purchases. It can also be beneficial to balance your checkbook every month. This can help to make you accountable for all of your purchases and allow you to practice more conscious spending habits. Buying new can eat up a large portion of your finances, whether it’s clothing, a car, or furniture. Rather than trying to figure out how you can afford new, shop used. Consignment sales and thrift stores are a great way to stretch your clothing budget. Not only can you find gently used (and sometimes new) clothing at cheaper prices, you can also sell the clothing you no longer wear. These types of stores are also great for buying other household goods. There are plenty of websites dedicated to selling used items, allowing you to save a significant amount of money. Before you make a purchase, check to see if there is a cheaper price elsewhere. Thanks to the internet, comparison shopping has never been easier. You can even check for coupon codes for your chosen retailer. What’s more, many stores will price match, whether it’s honoring their online prices in store or matching a competitor’s price. In some cases, you can still use coupons as well. Many grocery stores offer free savings clubs, which are designed to encourage your shopping loyalty. With a loyalty card, you can gain access to special sale prices and coupons. By planning your shopping trips around the sales of the week, you can definitely save money – as much as $40 or more per trip. You don’t have to limit yourself to one store. If you shop at multiple stores that offer savings clubs, sign up for each store you frequent. When you’re on a tight budget, it can be tempting to let some bills slide but, in doing so, you could be racking up late fees and other penalties. When you do get around to paying your overdue bills, you’re paying more than you would have initially. If possible, set up automatic payments for things such as your mortgage. When paying your credit card bill, aim for paying about $50 to $100 over the minimum balance each month. And make sure you leave approximately 5 to 7 days for your payments to process. You should also familiarize yourself with any fees that may be associated with your bank, your credit card or your cell phone. Call each company and ask about any fees you are unsure of. Shop around for banks that charge no fees, or at least less than what you are currently paying. 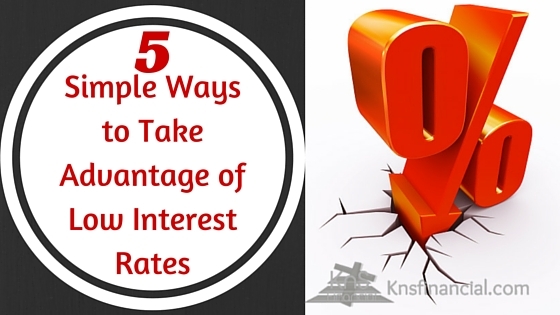 You may even be able to get your credit card company to lower your interest rate. While it can take some time, sitting down to plan your meals for the week can help you to then plan your shopping trips. This can help you to stick to a list and avoid buying what you don’t need. Planning can also help you to make the most of what buy. For instance, if you roast a chicken, you can make chicken salad out of the leftovers, and have lunch ready for the next day or so. The leftovers also make great sack lunches for the kids when they go to school, rather than having them buy lunch. Another trick to help you save money is to double your favorite recipes. This way, you have one ready for dinner on the night you make it and you can freeze the second one to eat the following week. This will allow you to take advantage of sales and can help you to save time on a night when you may not be able to cook. One of the biggest keys to help you save money is to actually set money aside into a savings fund. Allot what you can each month, even if it’s only $20. Over time, this money can really add up. You are not limited to a savings account. You can set the money aside into a college savings fund for your child or into a retirement account. Use whichever method works best for you and your family. Raising your kids on one income sounds like a frightening concept but, it is entirely possible. Taking the time to sit down and plan can go a long way in making sure that the bills are paid and everyone in your household is comfortable. If you have trouble managing your money, you are not alone. Millions of people struggle every single day with paying the bills, keeping their accounts straight, and having enough leftover to save for an emergency, let alone retirement. If this sounds like you, why not take a step back and look at your finances through a different lens. 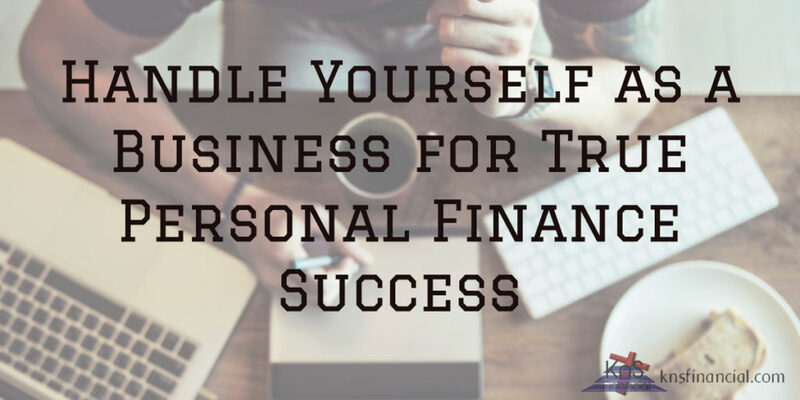 If you treat your finances like a business, and yourself like a financial analyst, you may be able to better identify your financial strengths, weaknesses, and put together a plan to enjoy financial success for years to come. Every business tracks its financial health using financial statements. If you search for your favorite large company’s annual report on Google, you can find its financial statements posted online. To get an idea of what these look like, stop in and check out Google’s latest annual 10-K report here. Of course, we don’t need to put together a 100+ page detailed report, just a simple one will do. The three primary financial statements you’ll want to look at are the Balance Sheet, Income Statement, and Statement of Cash Flow. Balance Sheet – The balance sheet is a snapshot of everything you have and everything you owe in one place. Subtracting your debts from your assets, you can find your net worth. Income Statement – The income statement shows how much you earned and spent over a specific period of time. Statement of Cash Flow – The statement of cash flow shows how much money came in and where your money went in terms of spending and investing. If you want to learn more about personal financial statements, check out my guides here. If a company earns a significant portion of its revenue from a single customer, that is called “revenue concentration risk.” It is a risk because a problem with that one customer can completely bankrupt a company or destroy a product line. For example, GT Advanced Technologies went bankrupt after losing its biggest customer in 2014. GT Advanced Technologies was a primary supplier to Apple for iPhone glass screens. When Apple changed suppliers, it destroyed the entire company’s business. What would happen if you lost your primary income source tomorrow? For most people, that is a full-time job and losing it would mean a serious hardship. By diversifying your income and investing your time in side hustles, you are in much better shape to withstand a sudden change in income. The root of business is earning a profit. Earning a profit requires earning more than you spend. Businesses and individuals can both utilize a budget to help plan for this goal. A budget isn’t something to restrict your spending, it is about planning and understanding your spending. It is important to focus on both revenue and expense when budgeting. Don’t look at your income as a fixed number, look at it as something you can grow through hard work and focus. If you do well at your job, you can get a raise. If you do well with a side hustle, you can earn more. That is key to growing your wealth. On the other side, do focus on big wins for your budget. Saving a few cents here and there is great, but finding recurring costs to cut and major expenses to avoid will have the most meaningful impact on your finances. If you can stay focused and treat your finances like a business, you are essentially acting as your own Chief Financial Officer. Mastering your bank accounts, credit and loan accounts, and taking an active role in growing your income while cutting expenses will be hugely helpful in the long-term. Even if things seem too tough to handle today, creating your personal financial statements will show you where you need to focus to live the life you want. Whether you want to travel more, save for retirement, or just want to feel more confident when dealing with your money, treating your finances like a business is the way to go. They say there are two certainties in life; death and taxes. Whether the word certainty applies is a moot point but there are some realities in the USA today that appear to be unavoidable, and miserable retirement for many is on the list. A recent study of 1,000 people over the age of 18 identified almost 60% happy at their ability to enjoy a comfortable retirement because of their ability to save sufficiently. With life expectancy rising, many can expect to live twenty years or more after retirement, so it is a challenge to have a large enough fund to do that. A common way to calculate how big a fund you will need is to take 4% per year of your fund’s total as your potential annual spending. These 60% are arguably far too optimist when average savings in society today are analysed further. Only half actually knew how much they would have in their fund when they retired. While Social Security benefits help support retirement they are far from sufficient for a comfortable retirement; no, very far!! Statistics reveal that the average annual spending of a couple who has retired is around $45,000 with benefits paying up to half of that depending on the couple’s working history. It means that a couple need around $500,000 in their fund if the 4% rule is applied. Of the 1,000 people surveyed around 400 stated that they were saving only 10%, often less, of what they earned each year towards retirement. That 10% is only the starting point on widely-acknowledged advice that recommends rising up to 15 and then 20% in later years. Almost 30% admitted they were not saving anything at all. Surprisingly half of them said they had no worries about retirement so there is a clear issue here. 500 or so said that their first financial goal was to create a monthly income for the years of retirement yet almost as many did not appear to have any idea or plan about how this could be achieved. There was a feeling that spending would drop by a quarter once they retired. There are some obvious savings on commuting as an example but what about increased medical bills that many face as they get older? There is a counter argument to spending. When people have more time on their hands it is likely they actually will spend more as they do on holiday during their working lives. Those Americans that understand the conflicting evidence within this survey can act to improve their futures but time is a constraint. The number of Americans keeping a proper budget is just in excess of 30% if a Gallup poll of 2013 is to be believed. It is an essential part of good financial management. Debts need to be reduced, especially expensive debt such as that on credit card balances. Personal loans are a cheaper way to organize your finances and can be used to pay off card balances by regular instalments which can be entered within the budget. Living to a budget takes self-discipline though not necessarily sacrifice. 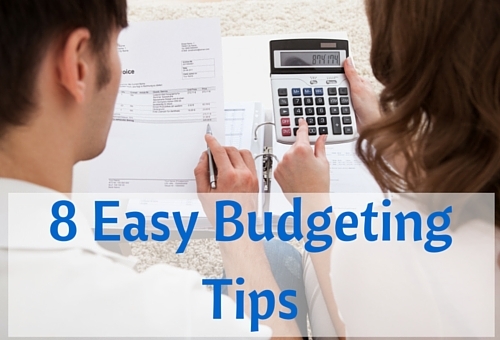 You have to be realistic or you will be discouraged when preparing your budget. There is the chance of savings on utilities, insurance and telephone with comparative websites doing much of the research for you. The aim behind living to a budget is saving each month towards the future. You will know how you stand at any one time and that clearly helps you make good decisions about every aspect of your life. There is nothing wrong in getting expert advice as well. The good news if there is any is that the younger generation appear to understand the limitations of the Social Security System and are prepared to do something about it. The bad news is that older people don’t and time is not on their side.